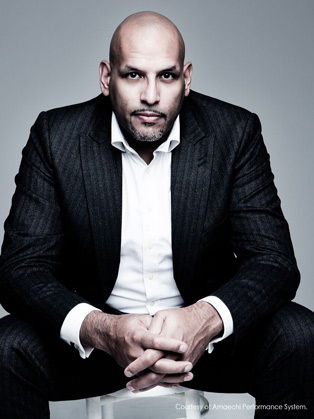 John Amaechi OBE helps individuals and organisations to improve communication, leadership and culture as a way to grow, improve and achieve goals. His psychological insight helps people understand the barriers to high performance and overcome them. He understands motivation and personal development and the roots of success and enables these traits to flourish. He also considers the nature of competition, the importance of cognitive diversity in organisational achievement, and aligning personal and business values and ethics. John’s experience is unique and his skills appeal to people from all walks of life. In addition to running his own international strategic performance consultancy, Amaechi Performance Systems, John is also a Research Fellow at the University of East London and currently holds various board and trustee positions. In a former life, John was the first Brit to have enjoyed a successful career in the NBA and to be inducted into the US Basketball Hall of Fame. He won widespread respect for his ability to overcome adversity, including life-threatening injury. Despite never having picked up a basketball until the age of 17, John went on to a ‘starting five’ position with the Cleveland Cavaliers in just six years. He was described by one commentator as ‘a player with little innate physical talent, who rose to remarkable heights on the back of terrific will and a tremendous strategy.’ He puts this down to focus, effort and execution as much as physical skills; characteristics he now seeks to instil in others. Whilst playing basketball, John pursued his PhD in psychology, co-authoring a paper on self-esteem and goal setting as well as becoming a leadership and performance expert. He also founded the ABC Foundation, which seeks to increase physical activity amongst the youth and encourage community cohesion.